Text messages show Boston Marathon bombing suspect Dzhokhar Tsarnaev joking with a friend not to text him hours after the FBI released Tsarnaev's photo as a suspect in the deadly attack. Dias Kadyrbayev texted Tsarnaev shortly after the FBI publicly released photos of Tsarnaev and his brother as suspects in the deadly 2013 attack. Tsarnaev responded that he had seen the news, then texted, "Better not text me my friend," then "Lol." In another text, Tsarnaev told Kadyrbayev he could go to his room and "take what's there" followed by a smiley face. Some of the messages had been released previously, but a complete transcript of Kadyrbayev's text messages in the days after the bombing was released by prosecutors Thursday. 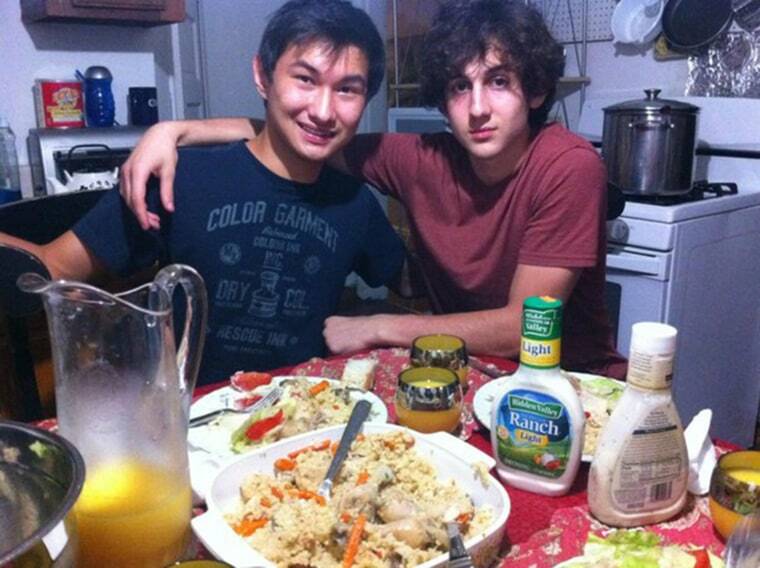 Kadyrbayev and another friend, Azamat Tazhayakov, are accused of removing a backpack containing fireworks and a laptop from Tsarnaev's dorm room at the University of Massachusetts-Dartmouth several days after the bombings. A third friend, Robel Phillipos, is accused of lying to investigators. None of the men are accused of participating in the bombing or knowing about it ahead of time. Tazhayakov and Phillipos declined to testify this week during a hearing over statements they made under questioning by federal agents. U.S. District Court Judge Douglas Woodlock said Thursday he would not throw out their statements. Kadyrbayev had been expected to testify Friday, but Woodlock said that will be postponed until after testimony from an expert witness. The judge did not rule on Kadyrbayev's request to suppress statements he made to investigators; his suppression hearing is expected to resume in two weeks. Prosecutors and the men's attorneys are arguing over whether the statements were voluntary and can be used as evidence in the upcoming trials. Prosecutors have said the men willingly spoke to federal agents after being told of their right to remain silent and to contact a lawyer. Kadyrbayev's lawyer, Robert Stahl, has argued that his client, who is from Kazakhstan, did not have a complete command of the English language and did not fully understand the waiver forms he signed. Two bombs placed near the finish line of the April 2013 marathon killed three people and injured more than 260. Tsarnaev has pleaded not guilty to 30 federal charges and is awaiting trial in November. His brother, Tamerlan Tsarnaev, also a suspect in the bombings, died following a shootout with police several days later.